It seems that the smart devices in store for the future under a smart grid pose some pretty serious security flaws – and could pose a risk to your life. A number of hackers have pointed out how unencrypted, remote thermostat devices could be manipulated to attack a single home/business, an entire neighborhood, or even the entire country. Worse, the industry is pumping out hundreds of new connected smart appliances that could leave security vulnerabilities in the homes of every American. And there are many other issues with the technology, as experts who talked to Wired note. Hackers brought up the issue to urge the need for encryption and protection with relatively-open “smart” devices that have been increasingly phased into home appliance use. Many homes have now given their power company permission to adjust their thermostat remotely, while others have implemented consumer devices to control the temperature remotely while members of the household are at work or away from home. But at the heart of the issue is the open door for saboteurs that could bring society to its knees. 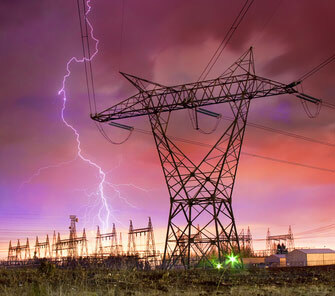 On top of the threat of an EMP attack, harsh weather and terrorism, the manipulation of air conditioners and other smart appliances pose a viable risk to devastating grid down scenario. In the worst case, a prolonged, widespread power outage – that includes damage to generators and relay stations system wide – could leave hundreds of millions without power and on the verge of life and death – as desperate people in cities would almost certainly riot, loot and kill each other for remaining resources, while others could die from exposure to extreme cold or heat without power and utilities. Experts have predicted that 90% of the population would die if the grid went down and took 6 months or longer to restore. As it stands, most sprawling urban areas are mere days away from chaos at any given point – once people get hungry and upset. Now they know they need to fix it, but will they? For now, the threat is mostly hypothetical, though a cyber attack has been considered a threat for years now. But it is yet another reason to prepare for all eventualities, especially surviving comfortably without electricity for prolonged periods of time. Such a scenario will bring enormous pressure to bear on the rest of society – but that doesn’t have to include you.